The future belongs to those who have access to energy – secure, abundant energy. Natural gas and oil are the leading energies to grow our economy and to help keep our country safe, today and tomorrow. Our well-being as a society is directly linked to the energy to grow, invent and meet challenges of all kinds. The natural gas and oil industry is a leader in using advanced technologies, helping the nation capitalize on its domestic energy abundance – even as the country looks to an all-of-the-above energy future in which natural gas and oil partner with renewables. Natural gas and oil are unsurpassed in the attributes that power a modern society, including portability and reliability. 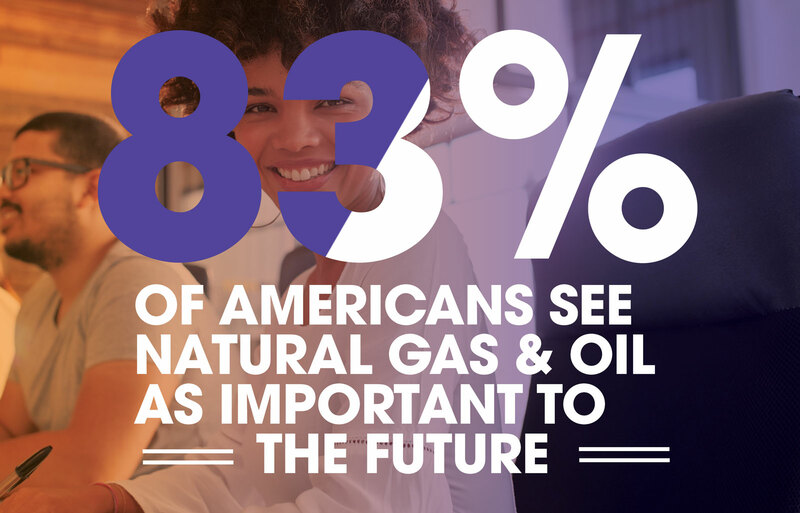 This is why energy forecasters project an energy future in which natural gas and oil continue to be leaders, here at home and around the world. With the right policies, natural gas and oil can continue to power a modern economy while also providing economic lift of its own by creating jobs that pay well, capital investment and associated spending by companies and their employees throughout the economy. At the same time, industry is focused on its workforce of the future, creating more career opportunities for women, minorities and Millennials. The natural gas and oil industry values diverse perspectives and contributions as key to driving continued innovation in the energy space. Oil is energy rich and portable – valuable qualities for powering a modern economy. Natural gas and oil are adaptable and integral as feedstocks for an array of other products and technologies, ensuring their vital role for years to come. The U.S. Energy Information Administration, the International Energy Agency and other agencies project that natural gas and oil – today’s leading fuels at home and around the world – will be the leading fuels for decades to come. Pro-development policies could increase the total number of U.S. jobs supported by natural gas and oil by 1 million in 2025 and more than 2.3 million in 2035. Industry drives broad economic growth through its own jobs, its spending in associated sectors and through the personal spending of industry workers.